If you have two siblings and you dont have separate room for each other. Two siblings sharing room is the only option for you. The organization and decoration of siblings room can be a challenge for you. You may find that both have different choices for wall color, bed style, and furniture. You can create a private space for each kid in a shared room. Sharing a room will be enjoyable for each child if you decorate their room with the colors which they like. Decorate their room in single theme: If siblings are agree on one theme then it is very easy to decorate their room. 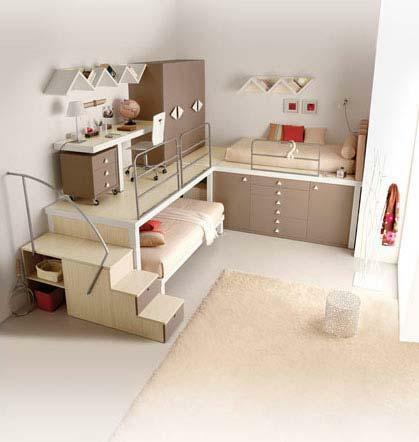 You can opt for twin bed or bunk bed for their room. Choose bedding of same theme for both. Ask them about the sharing of closet; one closet is sufficient for both of them. Decorate their room with two themes: If siblings do not agree on single theme, you can go for two themes in a single room. Room divider can be used to divide room in two parts. Decorate both of parts according to siblings choice. Room divider can be different from both sides matching the theme of room. Have trundle beds for room and decorate both parts of room according to their choice. Decorate sibling room walls: Decorate room walls with wall paper of design which sibling likes. You can also choose a solid wall shade for walls matching with furniture and bedding color. You can choose different paint colors of each siblings choice. 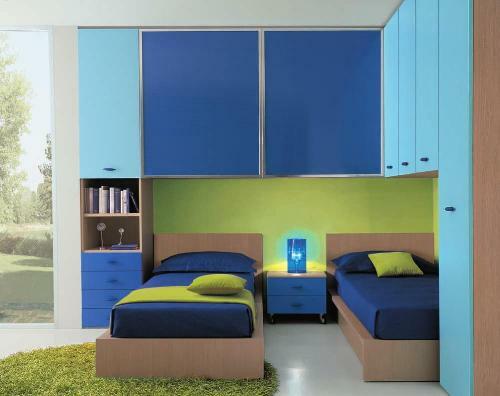 Furniture for Siblings Room: Furniture of siblings sharing room can be matching with wall colors and bedding. 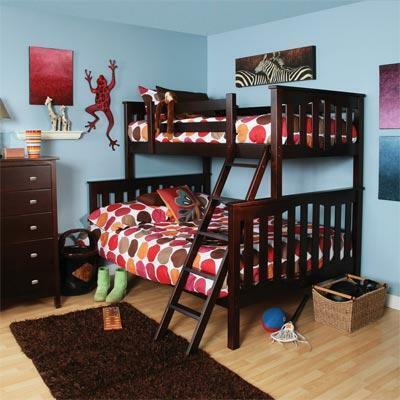 Bunk bed can be opted for small room and two twin beds are nice choice for siblings shared room. Closet should also be matching with wall colors and room dcor. If siblings are agree to share closet, label items with names so there is no confusion who owns this item. You can also give individual drawer to each child. Allow them to decorate their side of room: Allow each child to decorate their side of room in the way they like to decorate. This will help them to express their creativity in their room. This will make their room comfortable and a favorite place. Decorating sibling sharing room can become easy after knowing the choice of both children. It will help you to decorate room effectively.